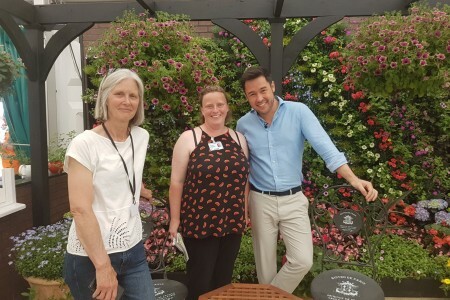 Here are Ginette and Ruth from our Shrub team enjoying the RHS Chelsea Flower Show and meeting celebrity Mr James Wong! James is a Kew trained botanist, RHS award winner and TV presenter who is renowned for thinking outside the box when it comes to unusual varieties of fruit and veg to grow at home. Why not visit the Nursery for some more inspiration from the James Wong Collection and the many other varieties of fruit and vegetables we have available. Our helpful team are always on hand to assist and advise you, do come and see us soon!